With more than 95,000 oil and gas structures worldwide, the world demand for pipes is increasing. The probability of a pipe failure can be high and it can have catastrophic effects if an explosion occurs or hazardous chemicals are released, while being very costly for the company. It is necessary to ensure that appropriate safety management programs are in place. 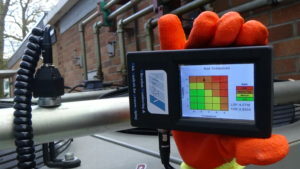 Innovation: EARTO member TWI developed the VARAsystem which provides maintenance strategies with a link between vibration analysis of pipework and the likelihood of fatigue crack initiation. Low cost and user-friendly, VARA continuously collects and analyses data in real time, sending immediate warning when critical levels are reached. Impact Expected: VARA drastically reduces the risk of operational failure and the potential of major incidents due to vibration induced fatigue. Potential savings from pipework failures and environmental impact are estimated at €14 million after 5 years. The inspection market for oil and gas is expected to reach $10.2 billion in 2020. 800 VARA systems are expected to be in service in 5 years, providing historical data to predict maintenance operations. 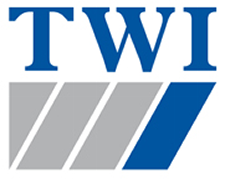 TWI is a UK-based RTO specialised in innovation, knowledge transfer and in solving problems across all aspects of manufacturing, fabrication and whole-life integrity management.